Brazil is perhaps best known as a place of cultural fusion, and no part of the country represents that trait more fully than the northeastern state of Bahia, home of world-renowned performance troop Balé Folclorico Da Bahia. Bahia was the site of the first Portuguese settlement in Brazil in 1500, and it had been home to the indigenous Tupi people for centuries before that. However, Europeans and Native Americans were not alone in meeting on the coast of Brazil. As the sixteenth century progressed, Bahia became the center of the most important industry in colonial Brazil – sugar cultivation – and with the production of sugar came the need for cheap labor. Because of the harsh conditions the Portuguese imposed, they could not fill that labor need with the native population alone, and so Bahia quickly became the leading destination for African slaves coming to the Americas. Over three centuries, the Portuguese brought an estimated 1.3 million African slaves just to the state of Bahia, twice the total number imported to the entire United States. The Portuguese conquest of indigenous people and their enslavement of Africans wrought unimaginable horrors on individuals, families, and entire societies. However, it also produced something rather unexpected, a three-way cultural fusion that brought together unique contributions from Africa, Europe, and South America and blended them into something new and beautiful. In dance and art, the rhythms of Africa combined with Portuguese and indigenous forms to create new ways of moving. In religion, mixtures of African spirituality, Catholicism, indigenous deities, and even Islam combined to form the popular Brazilian religion Candomblé, known for its emphasis on spirits that permeate the natural world. At family and community gatherings, new folk tales emerged that mixed the stories of the various old worlds into new fables with mythical creatures, brave heroes, and courageous heroines to offer moral lessons for coming generations. At work, slaves mixed traditional African methods of farming and fishing with the instructions of Portuguese overseers to tame not just sugar but also American crops previously unknown on the eastern shores of the Atlantic. 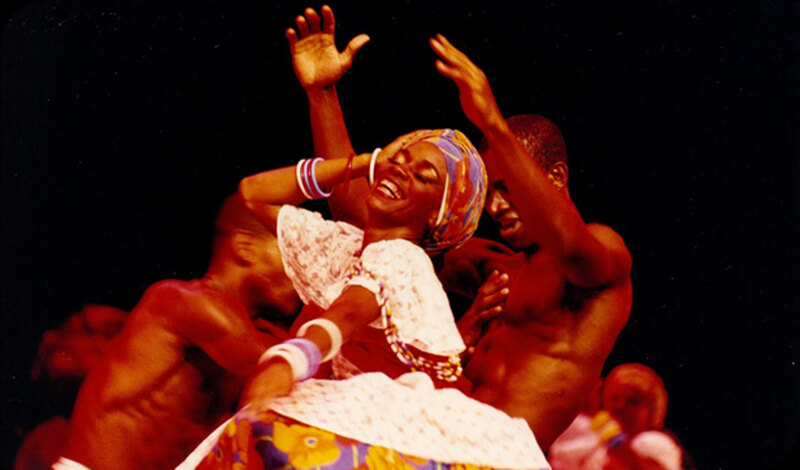 All of these cultural elements together, plus so much more, are what audiences witness in the performances of Balé Folclorico Da Bahia, and even though the name of the group refers to dancing (Bailé in Portuguese), it is important to remember that in this case, a dance is more than just a dance. 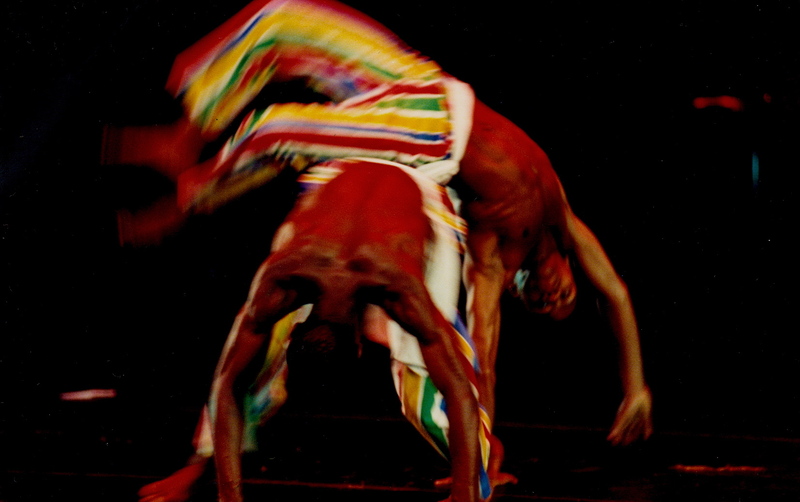 These dances represent the creation and the strengthening of new cultures over the past five centuries in the unique melting pot that is Bahia, Brazil. The Balé Folcorico Da Bahia have been presenting this cultural vitality through dance, martial arts (capoeira), and music since 1988. In the course of twenty-five years, the company has earned numerous accolades, and the cast has performed before hundreds of thousands of spectators everywhere from their native Brazil to Alexandarplatz in Berlin to the Sydney Opera House and now to the Norton Center for the Arts in the heart of Kentucky. Their multi-day visit to the campus of Centre College highlights the college’s ongoing commitment both to the arts and to global education. Through a partnership between Centre’s Latin American Studies program, the Mellon Foundation, and the Norton Center for the Arts, members of the Balé Folclorico are not only performing as part of the Newlin Hall Series but are also engaging students in discussion about Bahian folk religion and providing an interactive workshop on capoeira. year of the program, Centre students got firsthand experience teaching in Brazilian schools and working for Esporte Interativo, one of Brazil’s largest sports media networks. These new connections, whether on the Norton Center stage or in the business district of Rio de Janeiro, offer new access for Kentucky to the vital and exciting cultures of Latin America.This two-day event highlights the importance of enhancing academic study with interactive experience, a process that has come to define the Latin American Studies program at Centre in its first three years of existence. In addition to dynamic cultural events on campus like this one, the program offers rich study abroad experiences throughout the region, including at Centre’s permanent campus in Mérida, Mexico. Stephen Dove joined the Centre faculty in 2012 as assistant professor of history. 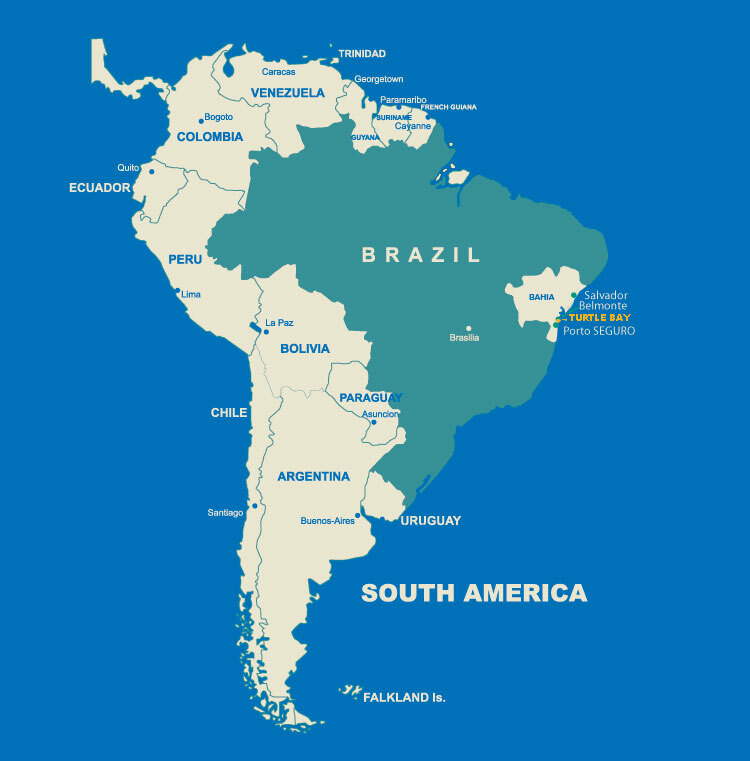 Dove teaches Latin American history at Centre, including classes on colonial and modern Latin America. His research focuses on Protestantism in Latin America, and is currently revising his doctoral dissertation for publication. This manuscript analyzes the ways that local converts adapted Protestantism in late 19th- and early 20th-century Guatemala. Dove received a B.A. in journalism from Baylor University, an M.Div. from Fuller Theological Seminary, and a Ph.D. in history from the University of Texas at Austin. Map of Bahia, Brazil. Located on the east coast near Turtle Bay.